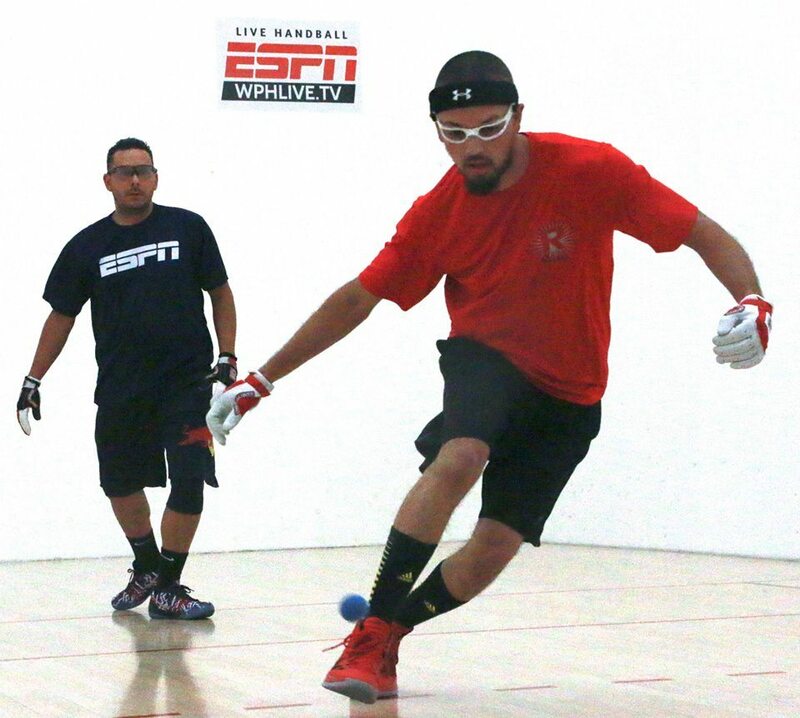 Just two weeks after the Simple Green U.S. Open Race 4 Eight V Stop #1, the Race 4 Eight returns to the home of the World Players of Handball in Tucson, AZ for the Tucson R48 Memorial/Junior WPH Benefit. The event is a no-entry fee event, with all players being asked to make a donation to Junior WPH to participate in the event. Small ball and Big Ball divisions will be offered for all ages, starting with 9-and-under and up to 70-and-over. All of the action will be covered live on Watch ESPN on Saturday and Sunday, November 7th-8th, with special bonus coverage on race4eight.com on Friday, November 6th. Luis Moreno, Sean Lenning, Emmett Peixoto, Mando Ortiz, Daniel Cordova, Stephen Cooney, Luis Cordova, and Marcos Chavez accepted their Elite 8 invites to Tucson and will aim to earn ranking points on their respective marches towards Portland and the WPH Player’s Championship in May of 2016. The R48 stars will have to contend with a very strong contingent of Big Ball cross over stars, college handball stars, and a top Irish star. Cross over stars Samzon Hernandez, Shorty Ruiz, Sal Duenas, and Timbo Gonzalez could also do serious damage in the draw, as their big ball games have proven to create havoc against traditional small ballers. R48 qualifier staples Vic Perez, Anthony Selestow, Adam Bernhard and others will also bolster a very strong qualifier field. Killian Carroll is the qualifier wildcard, as the Irish star will be making his second consecutive R48 start following a fifth-place finish at the 2015 Simple Green U.S. Open. Carroll owns an undefeated lifetime record against Luis Moreno, Emmett Peixoto, and Mando Ortiz, and will be a threat to not only qualify, but to win the event. The Tucson Junior WPH Benefit and WPH R48 Pro #2 Powered by ESPN features not only the best pros in the game, but also exciting junior clinics and competitions throughout the weekend. The Tucson R48 Memorial will feature the second edition of the Battle of the Border, with Team WPH Juarez challenging Tucson’s best junior players. 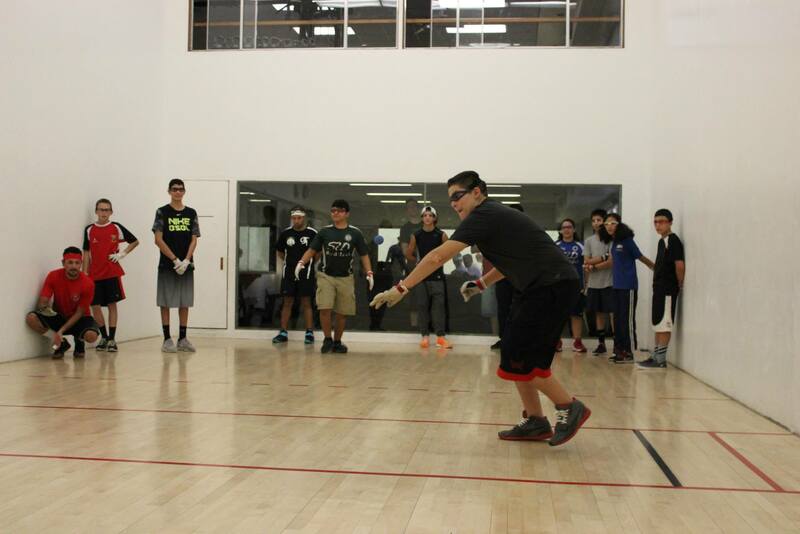 Junior players from Arizona, Mexico, California and other handball hotbeds will also compete in junior Small Ball and Big Ball singles and doubles divisions.